About to go pick it up and see what's wrong with it. 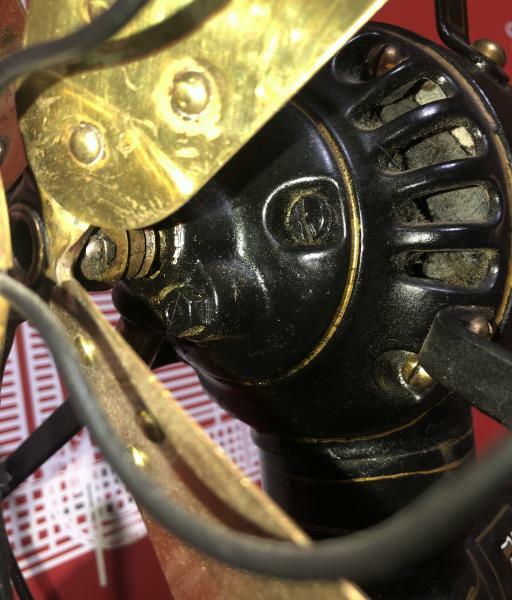 It appears to be a later deluxe model which is a 3 speed oscillator model with a custom paint job from the factory for the hotel that ordered it originally back in the 1910s. 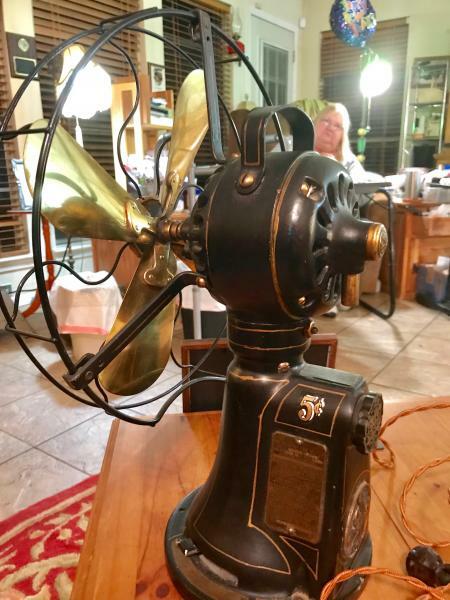 Levi Mevis wrote: It appears to be a later deluxe model which is a 3 speed oscillator model with a custom paint job from the factory for the hotel that ordered it originally back in the 1910s. 3 speeds have an external headwire I believe. 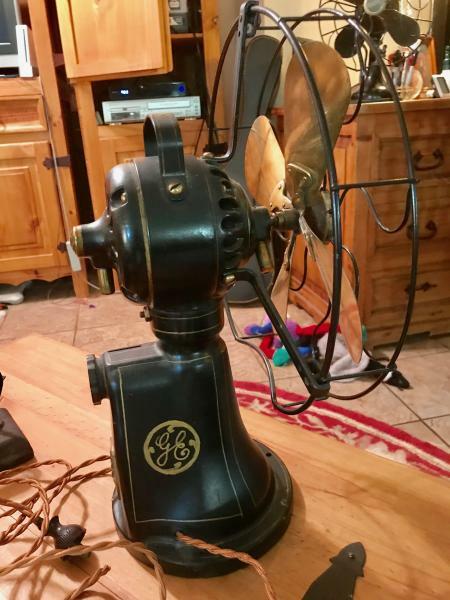 OK, I wasn't sure, I was just guessing because the switched looked like a 4 position switch in the photo, and the style of the fan (including the custom paint job) made me think it looked like a higher end model. Could very well be just a normal single speed model. There was no "later Deluxe three speed model". The National Prepayment Fan Co started in 1914. It operated in Vincennes, Indiana. The first model offered was the three speed oscillating coin op. Five are known to exist, along with the main mechanism of a sixth. In 1915, the company changed to a newly designed three speed stationary model, with a motor that could be manually swivel ed 90 degrees to the left. 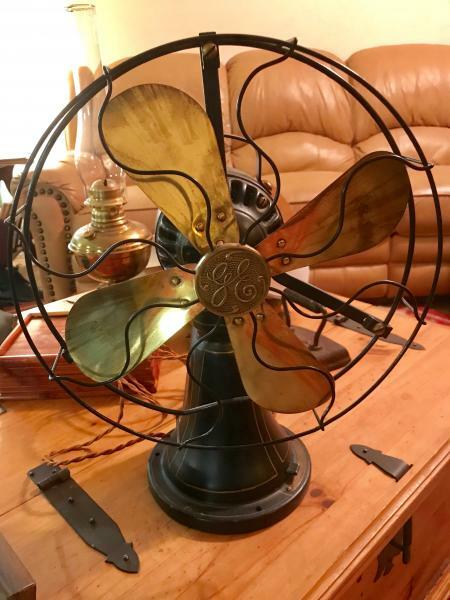 In 1917, the company moved operations to Memphis, Tn and changed the fan from three speeds to one speed fans. 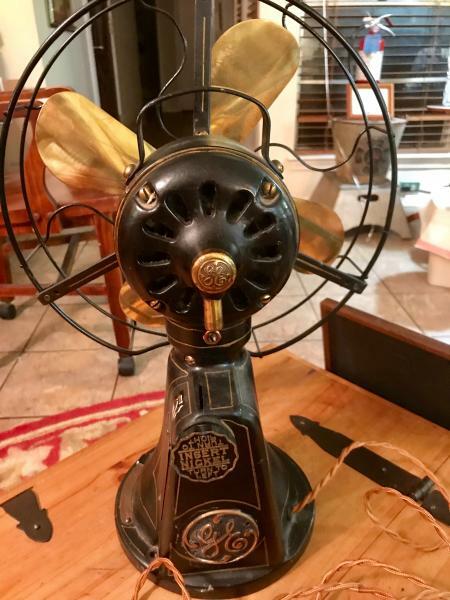 There was some carry over of the three speed fan to Memphis, but once supplies were used up, the one speed was the offered product. Models that I've seen are 110v 60 cycle, 125 v 40 cycle, 110v dc, 220v dc, and the 110v 60cycle mismarked as DC. Looks to be there. What would you suggest as my next course of action? Run it till it shuts itself off,negotiate your best price and buy it. If it doesn't shut off,walk away. Look to see if the continuity switch has been bypassed. Open up the base and take the slide switch out. If both wires run from the motor to the slide switch, the continuity switch has been bypassed. Take one of the headwires and connect it to the continuity switch. Then put a jumper from the other side of the continuity switch and run it to the slide switch. Run the fan to see if it'll shut off. It may run for several hours. If the switch was bypassed, the timing gear is most probably stripped. I'll check that continuity switch, and keep my fingers crossed. It's actually pretty rough, but it's still neat. I am having a problem removing the blade. Page processed in 0.1720 seconds (12% database + 88% PHP). 30 queries executed.